Reuters Partner Marketplace: high value video. 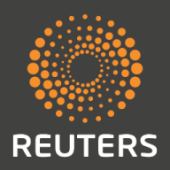 London, August 2015: Reuters, the world’s largest international multimedia news provider, has announced the launch of Reuters Partner Marketplace, a service offering clients fully-licensed high value video content from a range of specialist providers, available via a single, tiered usage subscription. All partners are hand-picked by Reuters to ensure authenticity and accuracy, and cover an array of topics, including animated news content, celebrity news and viral videos. Reuters Partner Marketplace allows clients to enhance their storytelling and stand out from the competition. Covering the most topical stories and footage of breaking news events as they happen, the offering provides content complementary to Reuters output, giving a different angle on topical stories. Next Media Animations – Offering colourful, eye-catching and informative animated news, science and innovation explainers, Next Media Animations is an innovator and a leader in animated storytelling. Next Media Animations offers a solution that goes beyond the constraints of typical video footage and helps clients tell a comprehensive visual story. Hollywood.TV – The source for all the latest celebrity gossip and videos of the stars, Hollywood.TV is one of the top celebrity news providers in the world, bringing all the latest celebrity news, interviews, gossip and candid videos to viewers around the globe. Rumble – Rumble.com delivers social video news from around the world, with over 13,000 creators contributing to a portfolio of over 80,000 social and viral videos. Through the ‘Rumble Rank’ algorithm the company discovers, validates, and acquires licenses to the most important social and user generated videos on the web. This latest offering adds to a growing range of end-to-end solutions that Reuters News Agency provides to digital publishers and broadcasters.Additional services include Reuters-TIMA locations services, which brings clients access to studio facilities and editorial and logistical support worldwide, and Reuters Live Service PLUS – the first service to offer up to four simultaneous live feeds to clients.